I wondered if you could get this appeal out via Plymothian Transit as soon as you can. Its an appeal for donations, in exchange for shares, in OCO502, an ex-Plymouth Leyland PD2 which we are trying to save to become part of the Plymouth City Transport Preservation Group. We have about half the amount required for donations, and we have only until Monday evening to find the rest. 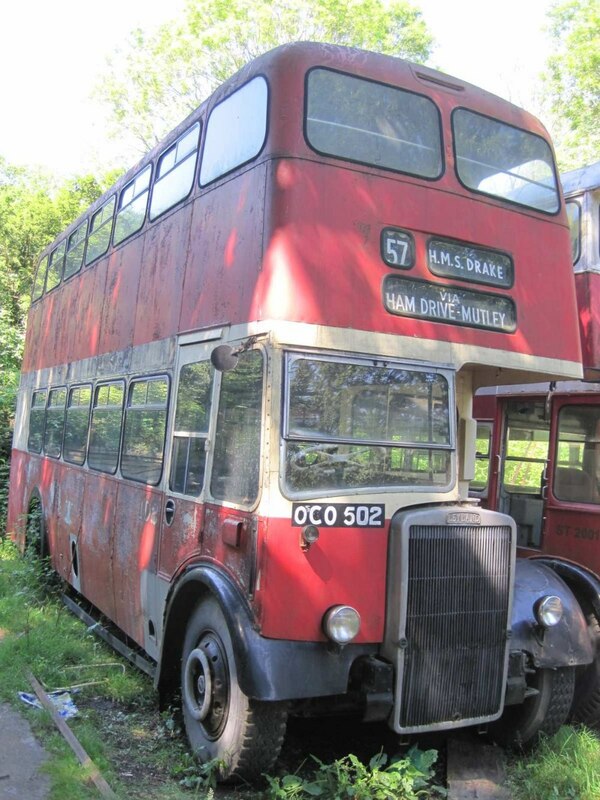 It would be a real shame if we could not save this bus and return in to service in Plymouth. If anyone can help they can email webmaster@plymouthcitytransport.co.uk. just to let you know the PCTPG are now proud owners of this fine bus! plans are underway to bring her home. Just need number 9 now! Fantastic news! They seem to be a very active and organised group, I have viewed their website and it's one of the best preservation group sites I've seen. Plymouth always seemed the poor relation in the preservation world but this seems to be changing, in fact I think I would say they are one of the leading preservation groups in the south west. Thank you for ur kind comments! Maybe you would like to join us?